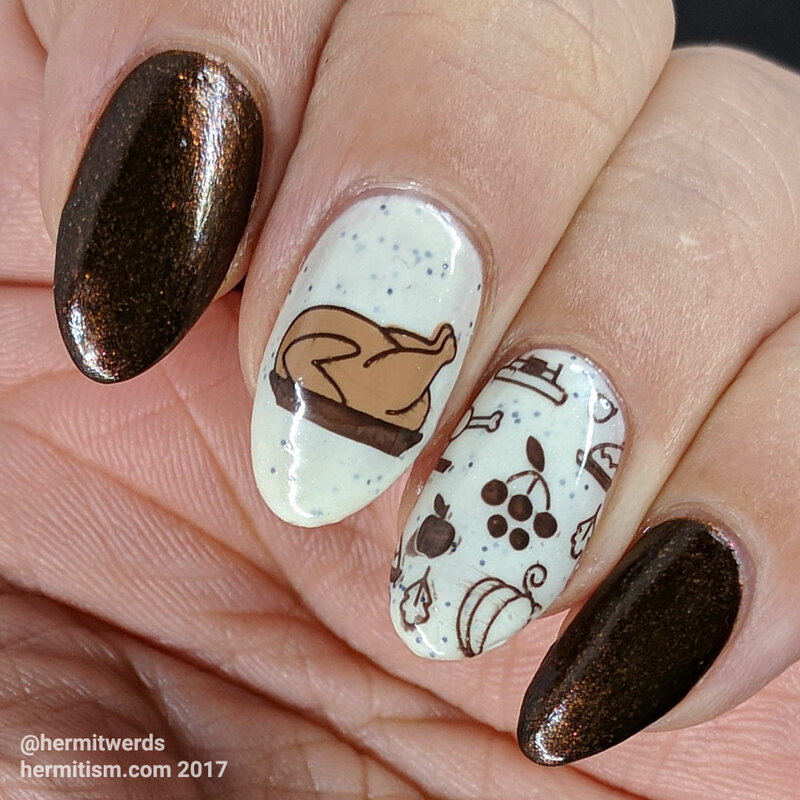 Since my Thankful-prompted nail art wasn’t at all American Thanksgiving Day-themed, I thought I’d haul out my Born Pretty BP-191 stamping plate and paint something more traditional on my nails. It was well-timed since I went to an early Thanksgiving get-together with these on. 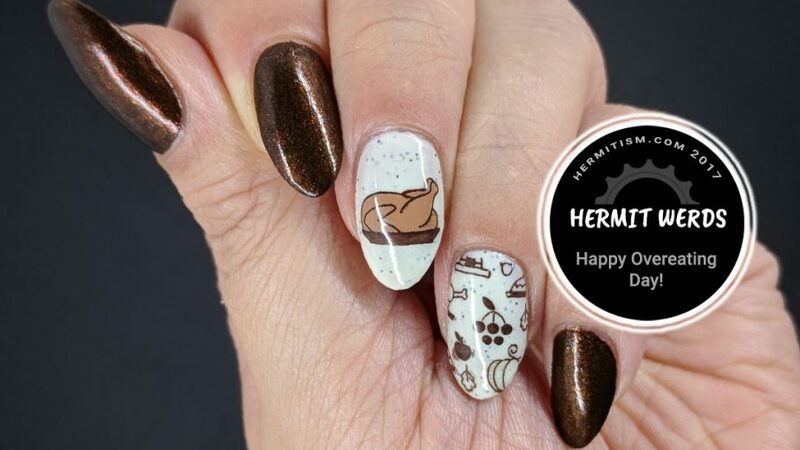 I kept the color scheme and stamping very simple so this one would be fairly easy to re-create on your own nails. Well, it’s only a few days until Thanksgiving so if you’re celebrating I hope you have a wonderful meal to share with good company. I’ll be snarfing enchiladas, tamales, and pumpkin pie with my parents and husband since that somehow became the family tradition (but I still bought a ham for later because: ham). I’m making the tamales from scratch. They get better every time.